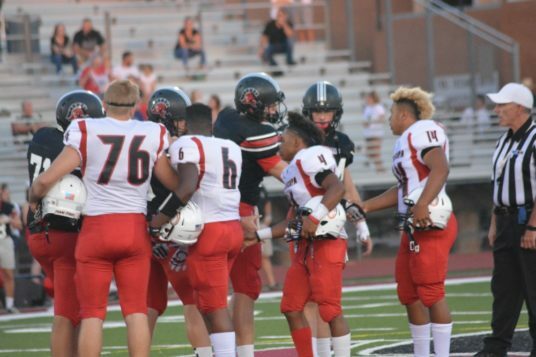 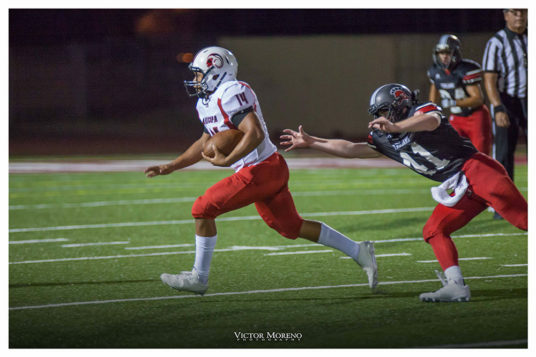 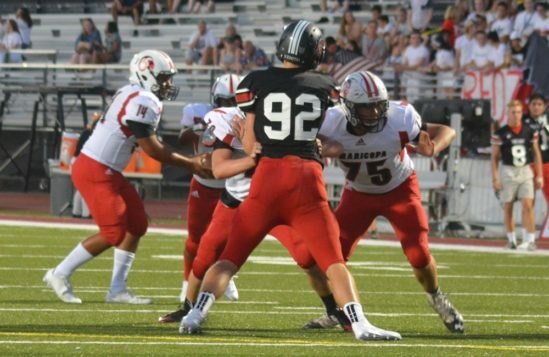 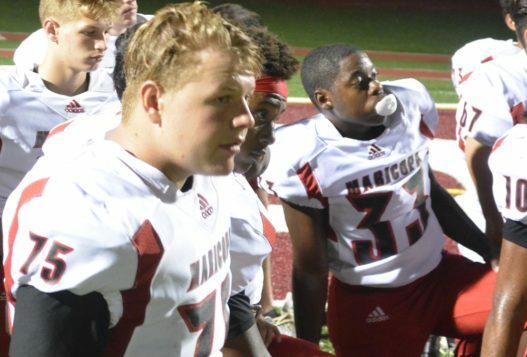 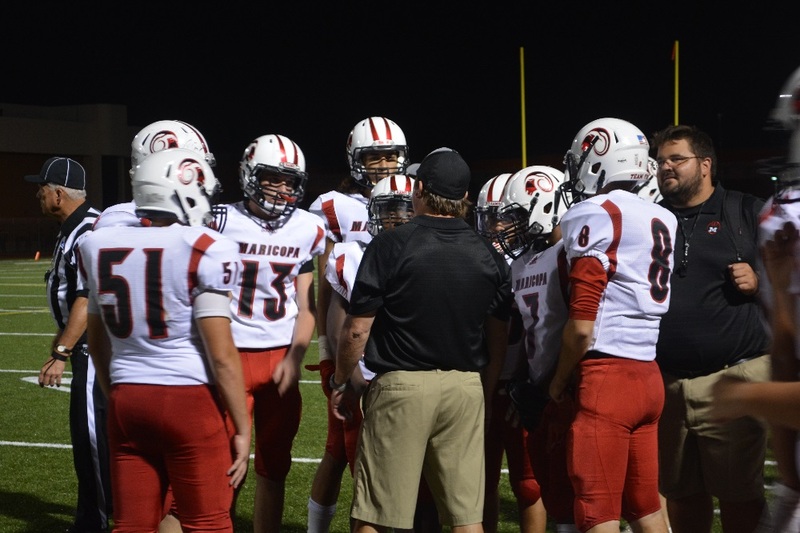 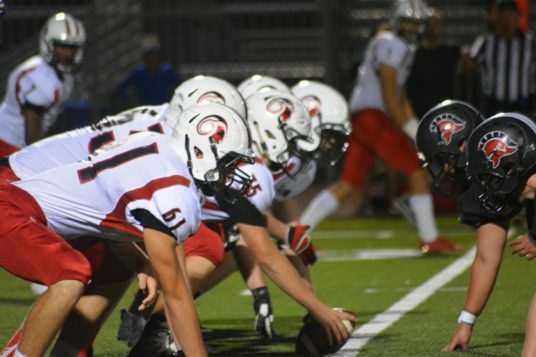 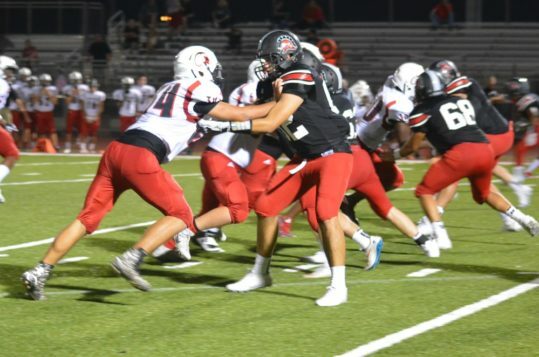 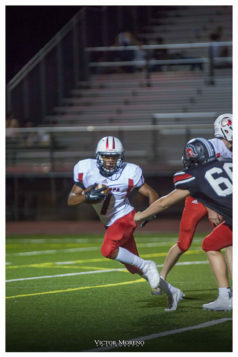 Despite some setbacks in Game 2 of the football season, the Maricopa High School Rams unloaded on Paradise Valley on Friday for 49-23 victory. The Rams took the field missing a starting running back and a lineman, one for disciplinary reasons and the other for family matters. 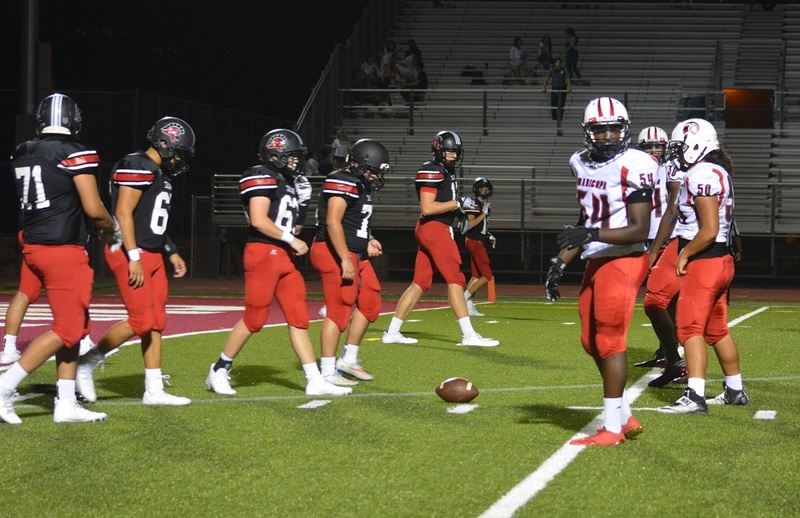 The situation put a lot of pressure on senior running back Kemo Akins to make up the slack in the first quarter. 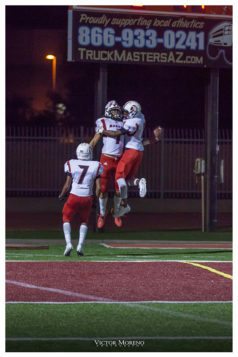 Akins scored two of Maricopa’s seven touchdowns. 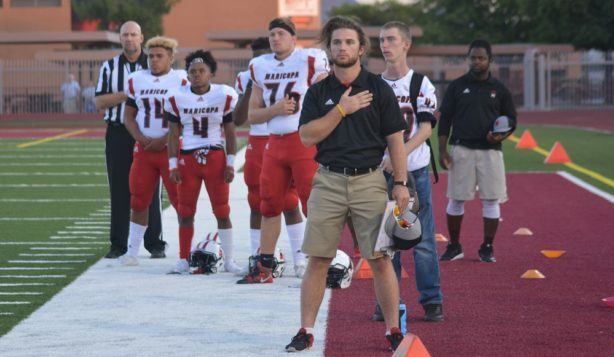 He also fulfilled his duty as a team captain. Head coach Chris McDonald said the team knew the Trojans had a quarterback “who can sling it” in sophomore Ben Hanley. And the Rams fielded a backup safety and a sophomore corner. 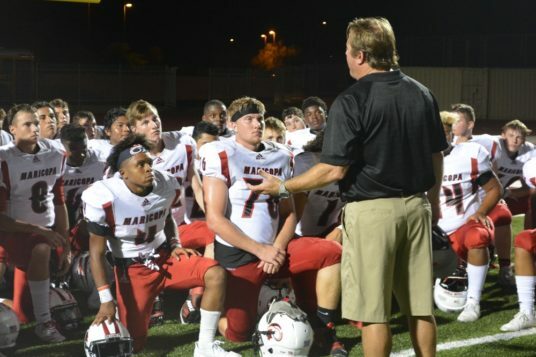 “Once we made the adjustments, we played pretty well,” McDonald said. 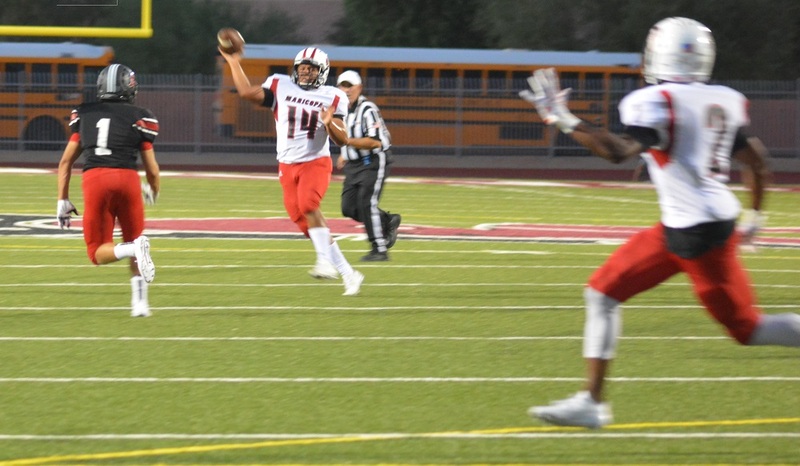 After the Maricopa defense stymied the Trojans on their first possession, the Rams used Akins to move the ball downfield. 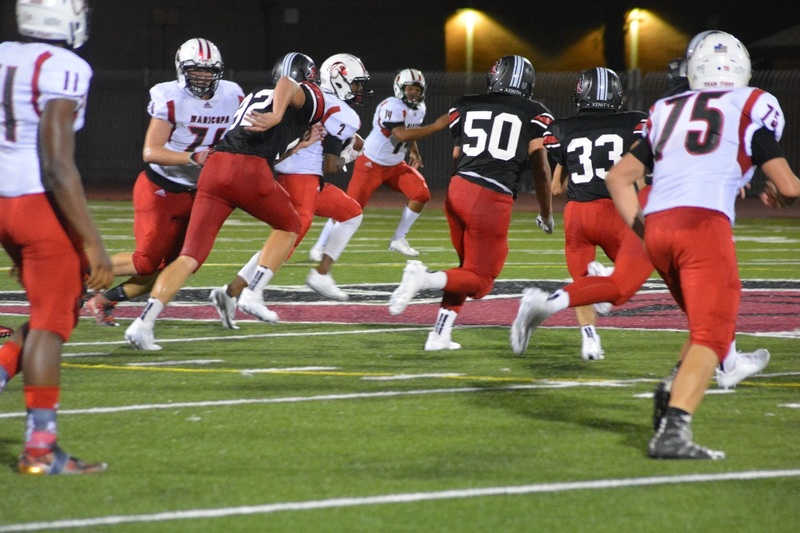 Then senior quarterback Alec Smith threw to wide receiver Jacob Cowing, who took it 22 yards for the score with 7:59 on the clock. Paradise Valley came back quickly, scoring about two minutes later on a 43-yard pass. 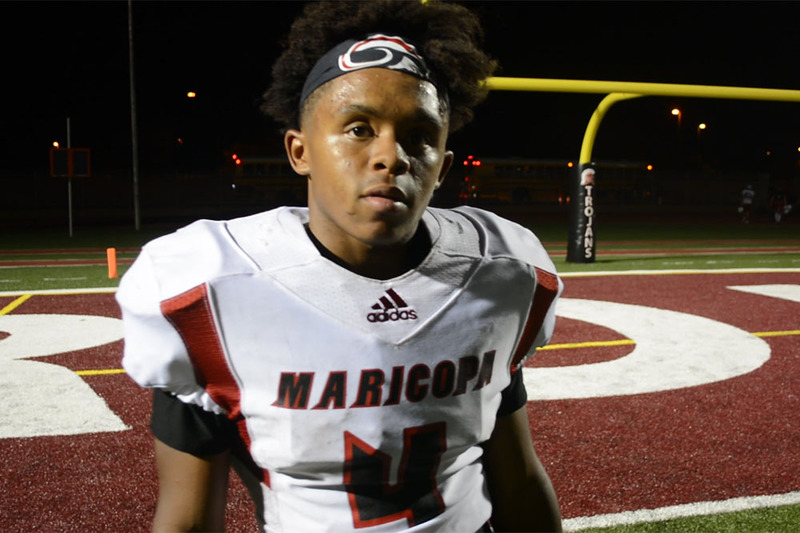 In the second quarter, Maricopa pulled ahead for good when senior running back Cameron Sanders scored from inside the 3. Paradise Valley managed a field goal to draw close, but the Rams executed an 84-yard scoring pass from Smith to senior Cameron Nissenson. 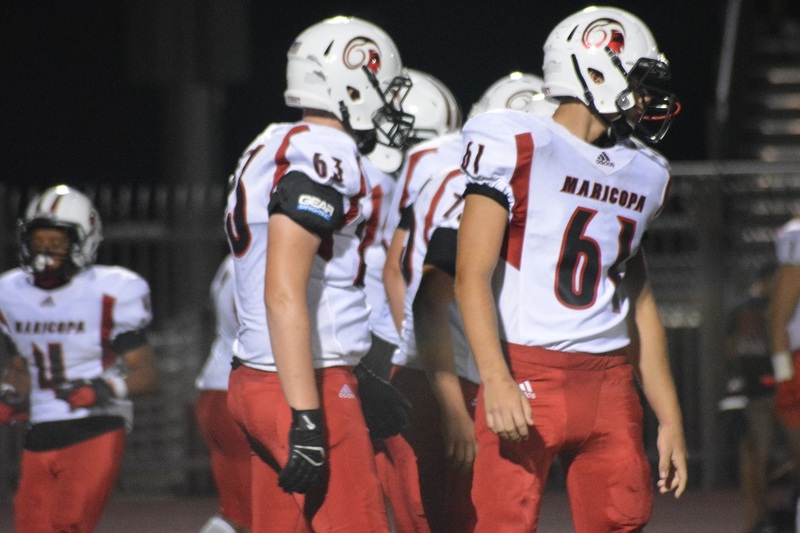 Maricopa led 21-10 at halftime in a game dragged out by several penalties on both sides. 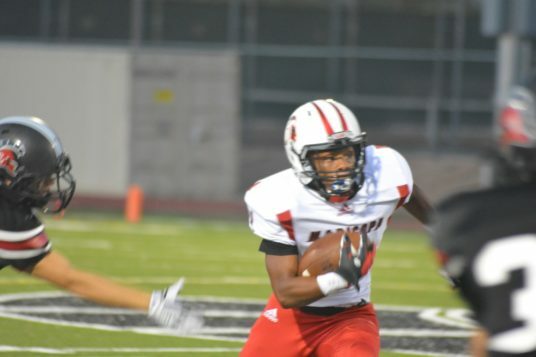 The Rams started quickly in the third quarter with Smith connecting with Cowing for a 49-yard touchdown. 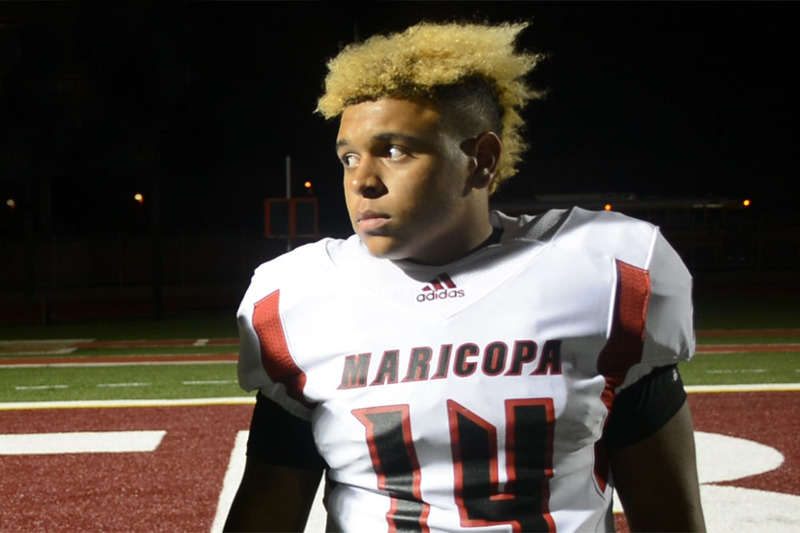 The Trojans answered with a 23-yard passing TD, but Maricopa was right back in the end zone on a 4-yard run by Akins. 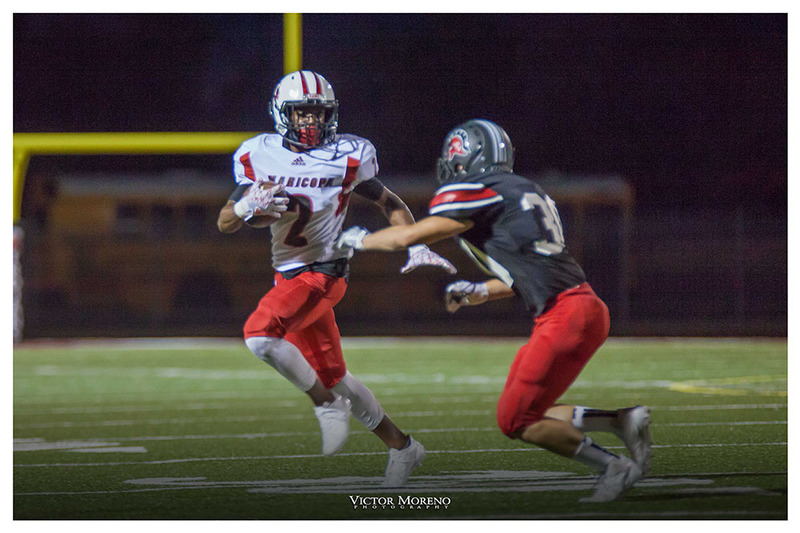 After an interception by Stefon Nelson, Akins scored again with 5:16 left in the quarter. 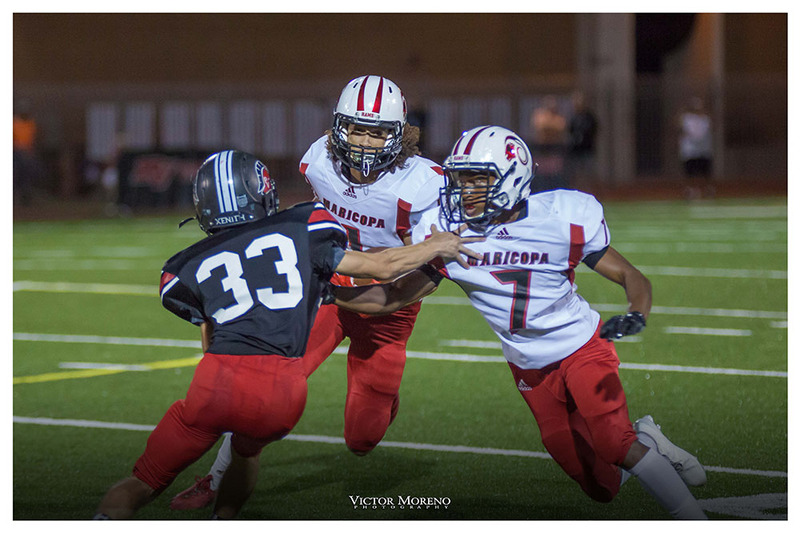 Sanders ran the ball in from the 3 for Maricopa’s third straight score at the end of the third. With most of Maricopa’s starters resting, the Trojans managed a passing touchdown with 17 seconds left in the game. 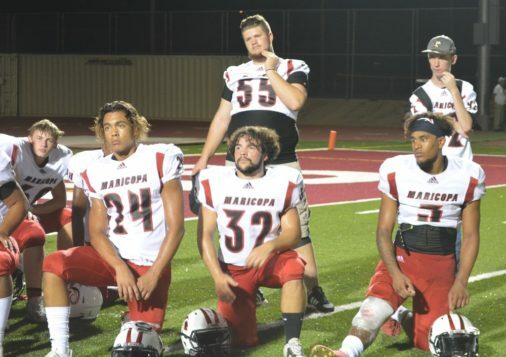 Maricopa had 610 total yards. Smith was 13-for-17 passing for 264 yards and three touchdowns. Sanders had 123 yards rushing and two touchdowns. Akins had 101 yards rushing and also scored twice. 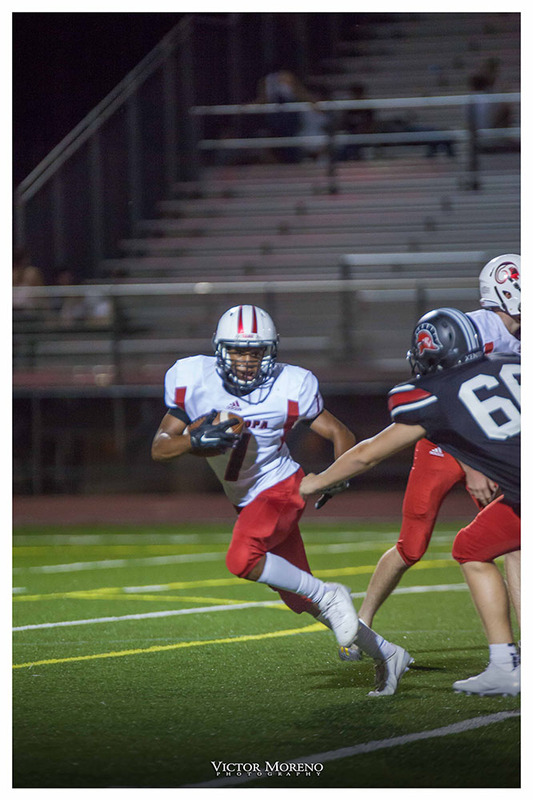 Cowing caught three passes for 84 yards and scored twice. 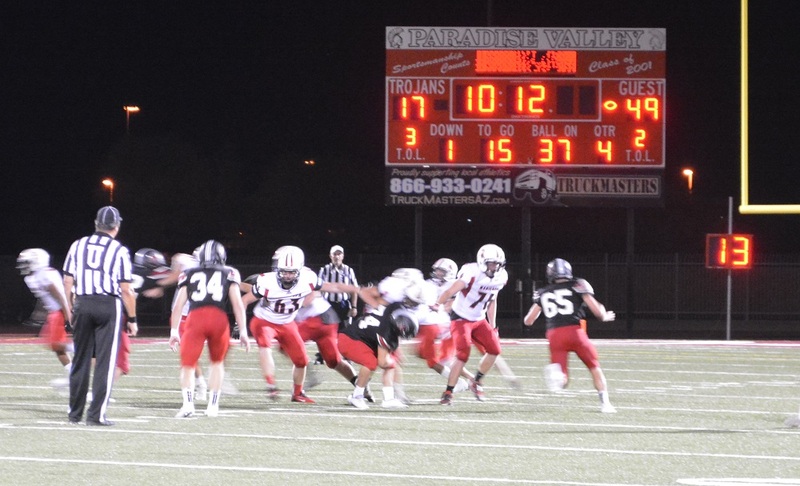 Nissenson had two catches for 90 yards and a touchdown. 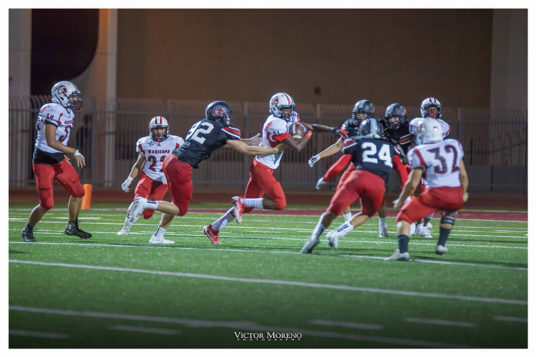 Friday, they will run into Desert View again. McDonald said the Rams will be “playing the revenge factor to the hilt.” The game is at 7 p.m. in Tucson.